The outrageous new book in the Scandalous Ladies of London series that's perfect for fans of Poldark and Vanity Fair. 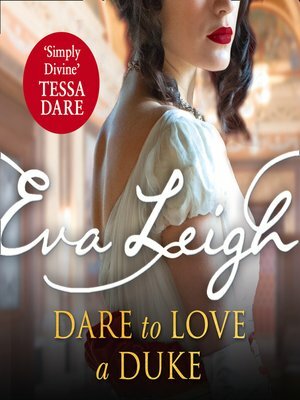 Mills & Boon presents Dare to Love a Duke by Eva Leigh For a dashing duke and the proprietress of a secret, sensual club, passion could lead to love... Thomas Powell, the new Duke of Northfield, knows he should be proper and principled, like his father. No more duelling, or carousing, or frequenting masked balls. But he's not ready to give up his freedom just yet. Lucia—known as Amina—manages the Orchid Club, a secret society where fantasies become reality. Yet no member of the club has ever intrigued her...until him, the masked stranger whose heated looks sear her skin. After months of suppressed longing, do they dare to give in to temptation... ?